AudioCodes Universal Communications Architecture (UCA) solution fills an important role in the digital workplace transformation process — enabling large enterprises with disparate multivendor communications systems to modernize their voice networks efficiently and cost-effectively. UCA achieves this through consolidation of communications silos, connectivity with SIP trunk services and utilization of the corporate IP network to optimize call routing. UCA employs session border controllers (SBCs), global end-to-end call routing and policy management, and AudioCodes’ advanced VoIPerfect voice technology to enable the creation of a universal network that offers high voice quality, without having to replace existing platforms. The result is a future-proof voice infrastructure that is easy to manage, maintains corporate security, and delivers significant capital and operational cost savings. 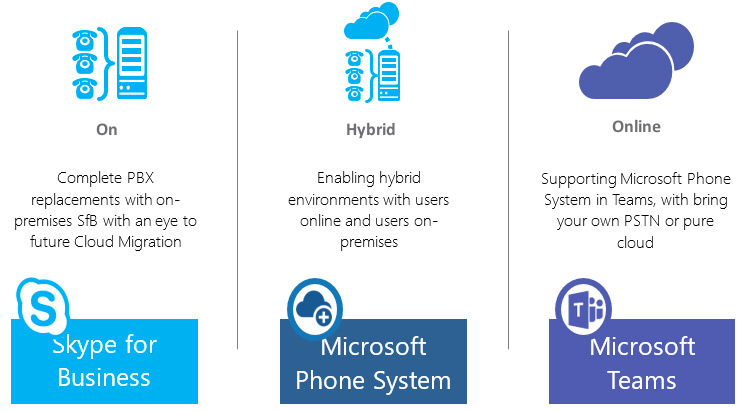 AudioCodes One Voice for Microsoft 365 is a unified solutions, products and services offering intended to simplify and accelerate voice-enablement of Skype for Business and Microsoft Teams implementations. AudioCodes One Voice for Microsoft 365 includes AudioCodes’ Microsoft-qualified end-to-end voice elements, wide-ranging services and extensive expertise to enhance Skype for Business and Microsoft Teams voice implementations. AudioCodes’ solutions for Service Providers consist of a set of hardware and software products designed to enable successful deployment of IP communications services. They allow Service Providers to benefit from uniquely suited solutions that were designed based on a set of key factors to assure quick, reliable and cost-effective deployment. This makes them an ideal choice for Service Providers who are transforming their networks and services to All-IP. Enabling quick, easy and reliable deployment of SIP Trunking services. Simplifying the migration of business customers to hosted PBX and Unified Communications as a Service (UCaaS). Facilitating secured connection to businesses and seamless interconnection between carriers’ core VoIP infrastructure. Providing solutions for fixed-line carriers who are transforming their legacy TDM to All-IP. Supporting the migration to virtualized networks and services. Through AudioCodes Routing Manager’s highly intuitive graphical user interface, system administrators are now able to design and modify their voice network topologies and call routing policies from a single location, resulting in significant time and cost savings. Time-consuming tasks such as adding a new PSTN or SIP trunk interconnection, adding a new branch office or modifying individual users’ calling privileges can be carried out simply and rapidly. Save time. Accelerate network topology design and modification. Reduce costs. Simplify voice network operations. Increase agility. Enable rapid reaction to changing network needs. Scale easily. Control any number of VoIP network elements. Increase flexibility. Enforce routing policies based on broad set of criteria. Leverage multivendor support. Suitable for heterogeneous environments.